Not quite as good as the previous Robert Langdon movies, but the escapism and cool puzzle solving elements are still there as a new mystery unfolds that takes us to some of the great sites of Florence, Venice, and Istanbul. This movie is okay, and it does fit along with the others, but it is by far the weakest film in the series. Inferno is also the least known and least popular book, (of the three.) It just doesn’t have a great story to tel, and the characters aren’t very interesting at all. Now that’s surprising considering that Ben Foster is in the movie, one of the great character actors around, but this movie doesn’t take the time to develop any characters. It just wants to give us one plot twist after the next, and the plot twists are really all the same… One person isn’t who he says he is. The following clues element is ok here, and the cool locations in Florence, Venice, and Istanbul do not disappoint. If only the storyline was up to par. 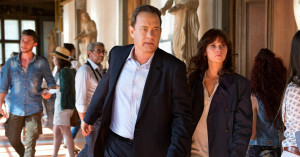 The Robert Langdon movies have always been a sort of version of the smart person’s National Treasure films. Now consider that the National Treasure movies were a take on Indiana Jones. These movies are all about adventurer seekers and puzzle solvers. The Indy films were about the action and spiritual magic. They were the most physical of the bunch. The National Treasure films became more grounded. Not that they were in any way realistic, but it was just that the magic element was out the door. It was replaced by cryptic puzzle solving in order to find lost cities of gold. With the Robert Langdon movies, not only was the magic out, but so were the lost cities of gold. These movies are more about international murder mysteries and huge diabolical terrorist / religious fanatic plans. Of the three series’ in question, the Langdon movies are the most serious and the most realistic, but they are also the least action packed. These are the movies that are about the scholar more than the adventure seeker. Still, it’s interesting to see where the evolution of the genre started and where it ended up. And while all three of these series’ have their strengths and weaknesses when compared to the others, they are all pretty entertaining films. What really helps is the Robert Langdon movies along is that they feature golden boy Tom Hanks as the star and Ron Howard as the director. These guys got started out together with the comedic film Splash, but they’ve gone on to make some of the most note-worthy of films together in either of their careers, (Philadelphia, Apollo 13,) so it’s not surprising that just seeing their names together on the project gives off a certain level of credibility. But that will only get you so far. And this movie has a little problem and a major hurdle to get over… Inferno is the third movie in a trilogy of films that has not done especially well with either critics or audiences. And of the three books these movies are based on, Inferno is the least known. Like those Dan Brown books that the films are all based on, Angels and Demons (the second film,) is the best of the bunch. That’s the movie that takes place entirely in Rome and deals directly with the Vatican. But the book and movie that were the most popular were The Da Vinci Code. The book was a sensation. The film is a fine watch, but it’s nothing special. Maybe that’s because it was the first movie, and the filmmaker had not yet found his ground for how to tell this kind of story. By the second movie, (the best,) he certainly has. Angels snd Demons, the second (and best,) movie, was the first one to realize the landscape potential. Whereas The Da Vinci Code took place in Paris and didn’t really feature the sites, (other then The Louvre Museum,) Angels and Demons took our heroes all over Rome, from The Piazza De Popola to the Castle of Saint Angelo (right outside Vatican City,) to the Four Rivers Fountain, to the Pantheon, to St Peter’s Cathedral, it really felt like it went everywhere. And the reality is, it hit at most half of the touristy spots, and no more. And the ones it hit were definitely enough. That movie was an experience. Inferno, the third film, might not be quite as good, but it does pick up with the same level of touristy energy. It’s about a museum in Florence that gets robbed and how the security cameras show Langdon to be the burgular. It’s also about a cult (like all these movies are,) of people who believe the only way to save earths population is to kill a large portion of it. We’ve heard this speech before. In fact, Samuel L Jackson pulled it off much better just a few years back with Kingsmsn, explaining that mainkind was a virus poisoning the earth. Here, in the hands of the evil mastermind Zobrist, played by Ben Foster, (a terrific actor when given descent material to work with,) the mission statement isn’t as clear or as powerful. Maybe that’s because the only time we really see Foster is through flashbacks, and his character isn’t given the freedom to really go off. He might be playing asupposed crazy person, but this role is a lot more tame then what he gave us in Alpha Dog or 3:10 To Yuma or even Hell Or High Water. The story really starts for Langdon when he wakes up in a hospital bed after having been shot. There’s an ER nurse, Sienna, taking care of him, (played by Felicity Jones,) and she explains as much as she can about the situation leading to his arrival there. Only there’s not s whole lot of time for explanations. There’s an assassin sent to the hospital to kill him, and Langdon and Sienna narrowly escape to her apartment. They call the American embassy only to find that the embassy is working with the assassin, as she immediately shows up to hotel address Langdon and Sienna gave them. Now it’s the two of these guys on the run, chasing after clues. The first clue is an image displayed by a mysterious mini-projector that Langdon had on him when he woke up. The image is of Dante’s Inferno and it sets Langdon and Sienna off to follow other clues throughout Florence and Venice. Along the way, they meet a few other characters from different agencies, who are all chasing them. There’s a man who works for a private company that was hired by Zobrist to do a few jobs before he knew of the virus plan, (played by Irfan Khan,) and another man who claims he works for WHO (the World Health Organization.) Both of these men say the other is lying about who he is. There’s a tape left by Zobrist, and how it explains that he’s calling the virus Inferno, and what the results will be when it is released. And then there’s Elizabeth Sinskey, a former lover of Langdon’s, who now is in charge of running WHO. There are train rides and betrayals and twists, as characters turn out to not be who they said they were. What we also get are some pretty cool locations. Now that’s a staple of these movies, so it is to be expected, but it’s nice to know that this film does not disappoint. In Venice, it brings us into St. Mark’s Square. In Florence, it takes us to the Duomo Church, the Pontivecio Bridge, and some of the art museums. It would have been nice to spend a little time in the canals and waterways of Venice, but you can’t have everything. And in Istanbul, we get a fantastic underground location with tunnels and waterways and bridges, for the climax. Despite the locations, interesting characters, and a story about deciphering clues (that feels right at home with the other movies,) something is missing. Maybe it’s just that we’ve seen all this before and the two other times were both done better. Maybe it’s that none of the characters stands out in any way. Mostly it’s that there are no cool action scenes, (other than the climax,) and very few memorable moments. The clues are barely interesting, and the plot isn’t anything great. The movie is by no means terrible, and is still better than the average film on this topic, but it’s definitely the weakest in the series. For Tom Hanks and Ron Howard, it might be time to put this one to rest. They made a good first two movies, and just like the rule of three often shows, (go ask Sam Raimi about his third Spider Man film,) the third film can very well be one film too many. In the case of this time around, it was surprising that they made the movie to begin with considering that the book was the least known of the three and the last film hadn’t done especially well. But they were committed to finishing off their trilogy, and they pulled it off. 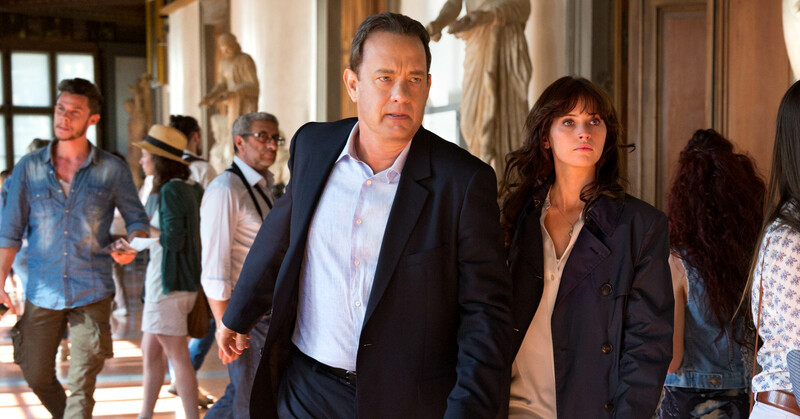 Inferno might be the weakest of the bunch, but it still carries that Robert Langdon feel and energy and take us to enough cool locations that we can forgive the lousy elements.